The Economist reports that Nigeria is benefiting from pent-up demand for African sovereign debt.despite some external factors which have affected the country. Nigeria;s economy shrank by 1.5% in 2016, its first annual contraction in 25 years. 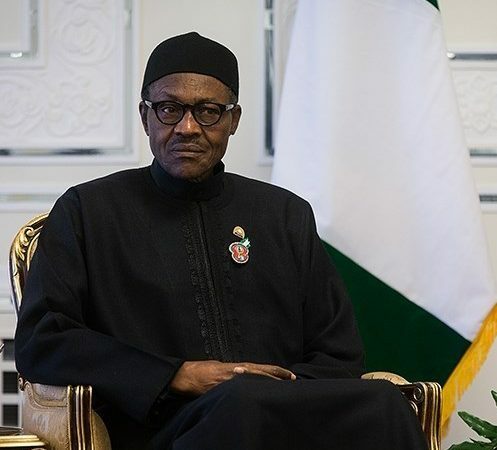 The president, Muhammadu Buhari (pictured, left), recently spent six weeks seeking medical treatment in London. And the country continues to be roiled by Boko Haram jihadists in the north-east and by unrelated militants’ attacks on oil facilities in the Niger delta. Yet investors don’t seem to mind: last month Nigeria issued a 15-year, $1bn eurobond—a bond in a currency other than that of the country issuing it—that was eight times oversubscribed. A second issuance is expected, possibly this month. It will probably be met with similar enthusiasm. What makes investing in Nigeria so attractive? Nigeria is benefiting from pent-up demand for African sovereign debt. Emerging markets started last year on a very bad footing: depressed currencies, looming interest-rate increases and uncertainty over British and American votes put investors off risky trades. African sovereign bonds suffered more than most. Yields—which move inversely to prices—peaked in February. They dropped gradually throughout the year, but too slowly for many nations to borrow at affordable rates: only three sub-Saharan governments—South Africa, Mozambique and Ghana—sold dollar-denominated debt in 2016. Yet with interest rates in the developed world still low, asset managers remain hungry for returns. Credit funds focused on emerging markets received nearly $10bn in the first two months of this year, almost double the amount pulled out of them in the same period last year, according to EPFR Global, a research firm. More specific factors have also put Nigeria on investors’ radars. In early February, the country’s finance, budget and central-bank chiefs toured the world’s financial capitals to provide an update on their agenda for reform. A more detailed plan was published earlier this month. After two years of denial, the government admitted that the economy needs deep adjustments. Investors are cheered by efforts to reduce opportunities for sleaze, such as the introduction of biometric records in the civil service and the merger of multiple treasury accounts into a single kitty, which Nigera started attempting to implement in late 2015. They also liked measures to end wasteful fuel subsidies, improve tax collection and increase VAT. Such pledges make it more likely that the World Bank and the African Development Bank will agree to lend Nigeria a combined $3.5bn to support its 2017 budget. It is not a one-way bet. External factors cloud Nigeria’s prospects: further rises in American interest rates, following last week’s increase, would strengthen the dollar and make debt repayment more expensive. Fortunately, Nigeria remains one of Africa’s least indebted nations. Should Yemi Osinbajo, the technocratic vice-president (pictured, right) who ran the show while Mr Buhari was unwell, retain authority to drive policy changes, investors will probably keep on giving Nigeria the benefit of the doubt.